Tomorrow marks the start of the Pebble Beach National Pro-Am and Michael Thompson will be making a return appearance after skipping the event the last couple of years. This is the second, and final Pro-Am of the PGA Tour season. Michael will be paired with Notre Dame football coach Brian Kelly in the Pro-Am portion of the tournament. They will be playing alongside Patrick Reed and playing partner Jimmy Dunne III. The foursome will tee off at 9:50am PT from the first hole at Spyglass Hill. Spyglass is the hardest of the three courses in the playing rotation and plays to a par 72. The tournament is played on three courses so, unlike most PGA Tour events, the cut is made after Saturday's third round. The cut will be set at the top 60 golfers (and ties). ShotTracker data is only available at the Pebble Beach course. 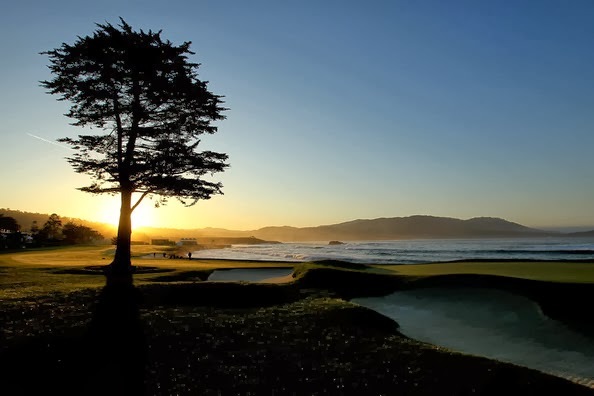 Michael plays SpyGlass in round 1, Monterey Peninsula in round 2 and Pebble Beach in round 3.